Lets take a look at something from a current season. 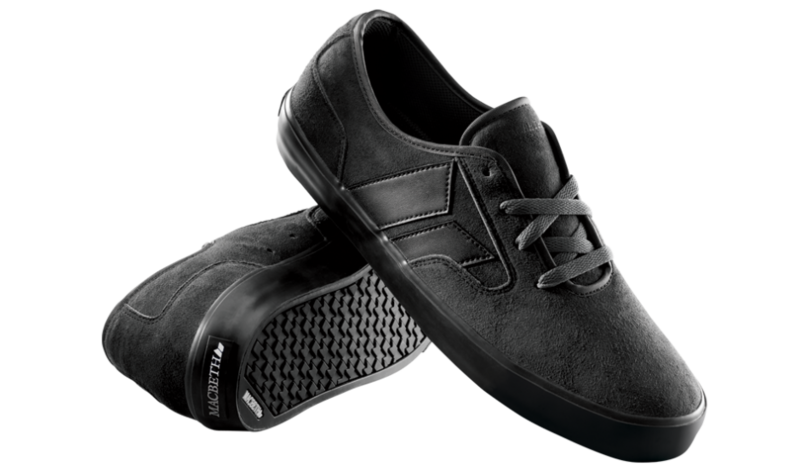 If it wasn’t for the Macbeth logo on the side, I might mistake these for a pair of Emericas or another popular skateboard shoe brand. The Black/Black (big surprise) Pendleton trades in the usual canvas that Macbeth uses for a more durable Synthetic Suede and faux leather logo. The toe is a solid one piece construction that travels far enough to the back side of the shoe to keep the ollie gremlins at bay. Thin tongue thin collar, with a nice tight looking heel cup. 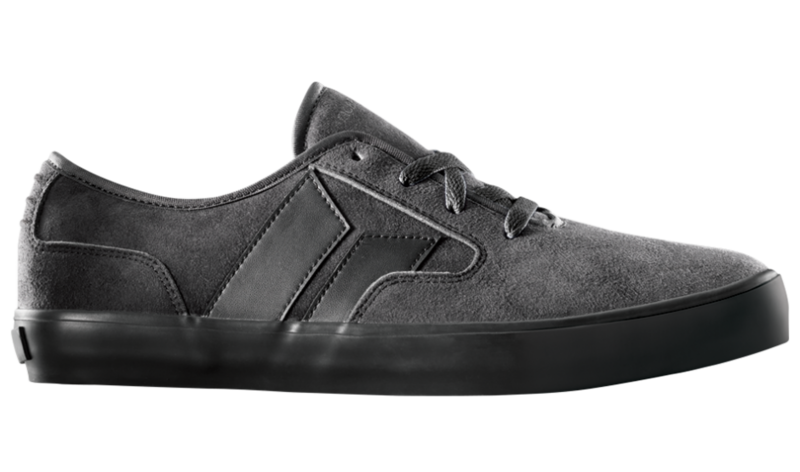 Very amp’d to see Macbeth with what looks to be a legit skate model.